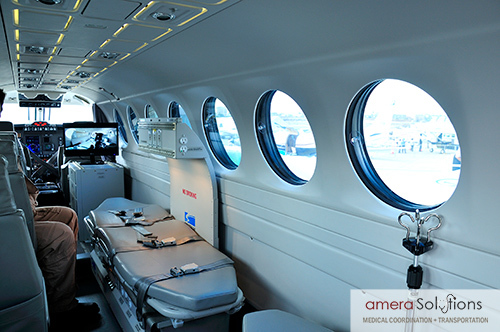 You have found the ideal resource if you are looking for air medical transport services in San Antonio, Texas. Amera Solutions was founded back in 2004 on a commitment to caring, empathetic, and effective service. We have been able to withstand the test of time because we exceed the expectations of our clients on a consistent basis, and we continue to build on our reputation for excellence day after day, year after year. Our team members feel a close connection to this sprawling, diverse city that sits in parts of three different counties, and we go the extra mile to provide much-needed assistance to its residents during trying times. From Scenic Oaks to Losoya and everywhere in between, you can rely on us to satisfy all of your San Antonio, Texas air ambulance needs. Even though San Antonio is a large city, in some cases, medical assistance that is needed may not be available locally. There are facilities and specialists in other Texas cities, other states, and even in other countries that may have a particular brand of expertise that is required. Under these circumstances, we can put our experience to work for you, and we understand the fact that the stakes are high. We can schedule a private San Antonio, Texas air medical transport plane to get you to your destination right on time, and we can make sure that you are safe and comfortable along the way. Depending on the nature of the circumstances, we can have a registered nurse, a certified nurse’s assistant, or a fully qualified aide to attend to your every need while you are in transit. There are air transport medical situations that fall into another category. You may need assistance that is only available elsewhere, but you may be physically capable of flying on a commercial flight. Another scenario that could require air medical assistance would be if you were to experience a medical episode while you were out of town. Under these circumstances, you may simply want to return home to receive your treatment. We can step up to the plate and provide the San Antonio, TX air medical assistance that you need to get you to your destination. Our specialists can make the arrangements, and one of our qualified team members can accompany you every step of the way to ensure a safe arrival. Any time you need us, you can reach one of our San Antonio, Texas air transport medical consultants at 281-872-6400 or 855-263-7215. This entry was posted in misc-articles on March 20, 2017 by Amera Solutions. 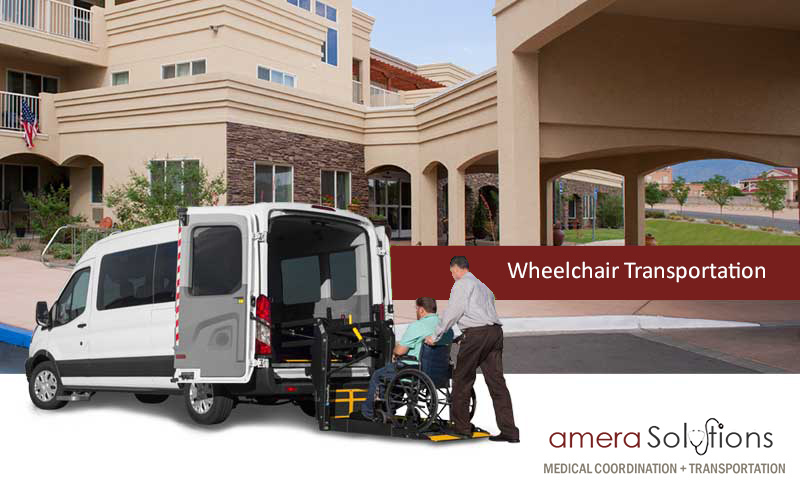 Amera Solutions has been building its reputation as the premier Austin, Texas medical transportation resource for over 10 years and counting, and we take our responsibility to residents of this extraordinary community very seriously. Austin is known for many things, and it is one of the most unique cities in the entire country. It has certainly earned its reputation as the “Live Music Capital of the World.” The SXSW Festival draws countless people each and every year, and the city comes alive with music around every corner, but it is always a hotbed for musicians and music lovers year around. Clearly, Austin is a fantastic place to call home, and we are very proud to be able to serve its residents. Wherever you may reside in town, whether it is in River Hills, Barton Creek, Del Valle, Dessau, or anywhere else in the metro area, we will be here for if you ever need an affordable Austin, TX ambulance service. When you are addressing some type of health problem, you are going to have a lot on your mind. It is important to focus your attention on the healing process as you let the appropriate professionals take care of other details. Medical transport is one of these details, and we can step in to make everything very easy for you on this level. Austin, Texas non-emergency medical transport is an area of expertise for our company, and we have a variety of different vehicles in our fleet, so we can accommodate anyone and everyone. We have vehicles with stretcher-gurneys, wheelchair equipped vans, and simple but comfortable sedans for people who do not need any special accommodations. Transportation to a hospital can be necessary when you are going to be spending a number of days, and we can certainly get you there safely, and we can be engaged to pick you up at the appropriate time. Our Austin, TX private ambulance service will also be ready to spring into action if you ever need transportation to a hospital for outpatient treatment, and drop-off and wait services are available if the visit will be relatively brief. If you would like to discuss any of our hospital patient transport services with one of our knowledgeable Austin, Texas medical transportation specialists, we can be reached by phone right now at 281-872-6400 or 855-263-7215. We will always be standing by to assist any time you need medical air transport in Austin, Texas. Our company, Amera Solutions, is highly experienced in this very specialized field of endeavor, and we take our responsibility to members of the community very seriously. Clearly, Austin is one of the most unique places to live and work in the entire country. It is a large city that is the capital of a huge state, and it is well known as the home of the University of Texas Longhorns. We serve the entirety of the “City of the Violet Crown,” from Brushy Creek to Mustang Ridge and everywhere in between. When you are experiencing a serious health problem that requires transportation to a distant facility, you need to identify a company that can provide quality air ambulance services. At the same time, the costs are definitely going to be a factor for most people, and we are fully cognizant of this dynamic. We provide state-of-the-art air transport medical services, but we have built an efficient business model, so we can keep our prices as low as possible. We are a Texas-based company, so we will always be just a phone call away if you need an air ambulance as an Austin, Texas resident. At the same time, we can provide air transport medical services all over the world, and in some cases, the physician or facility that is best for you may be located in another country. This is no problem when you work with America Solutions to satisfy your air medical transport needs. When we provide Austin, Texas air ambulance services, we make sure that all of the medical equipment that is appropriate for each respective patient is in place. We also have qualified medical personnel on board, so you will be well cared for from takeoff to landing. In some cases, you may be well enough to travel on a commercial flight, and this is a much more affordable solution. Under these circumstances, we can make sure that an attendant, a registered nurse, or a CNA is by your side every step of the way. If you would like to discuss your needs with one of our Austin, TX air medical transport specialists, give us a call right now at 281-872-6400 or 855-263-7215.